A favorite bible verse of many is Philippians 1:6 which says: “being confident of this, that He who began a good work in you will carry it on to completion until the day of Christ Jesus.” Since we are all very much aware that we are far from being the person we would want to be, it is comforting to know that God is still working on us and won’t stop until we are complete. This bible truth and promise made that fact very clear. Secondly, the verse also reveals one important nature of God, that is, He never falls short in any of His endeavors and always fulfills His desires. A confirming example is found in the 55th Chapter of Isaiah which points out that God’s words and actions will always accomplish His purpose. 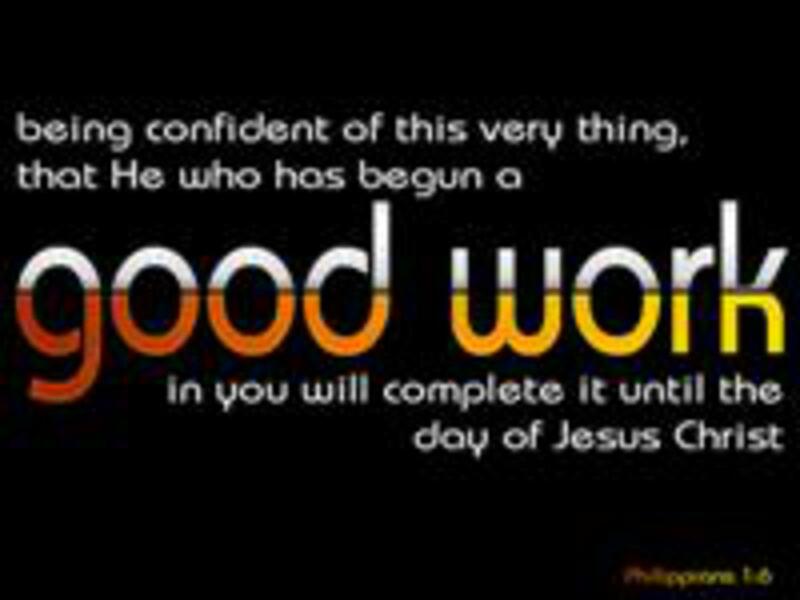 To count the cost beforehand and finish our tasks is to be like God. We should think about that, even in the smallest of chores. If one who sweeps a floor leaves a small piece of paper in a corner, his work is not complete. The same can be said for one who washes his car and leaves it sparkling clean, but never touches the tires, one who dresses up in a nice suit and tie, but his shoes look like they just came back from the war, or a contractor who remodels a house but leaves sawdust, dirt, and 2x 4’s scattered all around. You get the idea, right? I trust we will always keep that in mind when we do our chores. The truth is that if we get into the habit of doing incomplete work in our small and simple tasks, we will do the same with things that are much more important. Not only that; we will acquire a bad reputation as well. Let’s try to be more like God, at least in that regard. Memory verse for the week: (Ephesians 4:31) "Let all bitterness, and wrath, and anger, and clamor, and evil speaking, be put away from you, with all malice.